For those of you using the popular Field Notes size notebooks, today I'm offering a Monthly PlanPack. What is a Monthly PlanPack? It is here that you can gain an overview of the month and its key events. The PlanPack has one of these at the front. As you can see, this allows you to dive into a little more detail at the weekly level. There are six of these spreads, immediately after the monthly view. 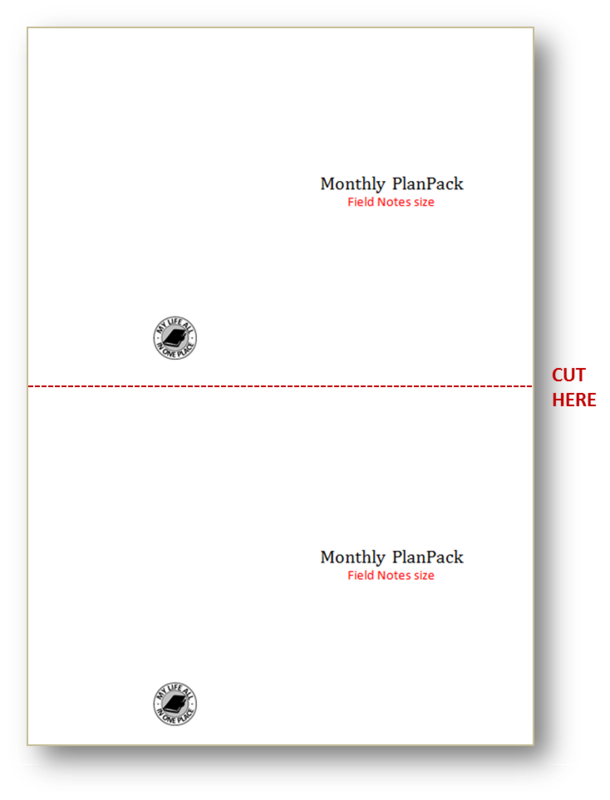 In all, the Monthly PlanPack booklet contains 64 pages, enough to let you organise your month with time and task information. At the end of the month, just make another. You can download this as a Word file or as a PDF file. In either case, this needs to be printed on A4 paper, double sided, flipping conventionally along the long edge, just like a regular document. You can also cut an A4 piece of card in half to make two covers. Then bind with thread or staples and trim the finished booklet to the standard size of 140mm tall by 90mm wide. (I'm planning to make a video soon on exactly how to do this.) I finished mine with a corner cutter.